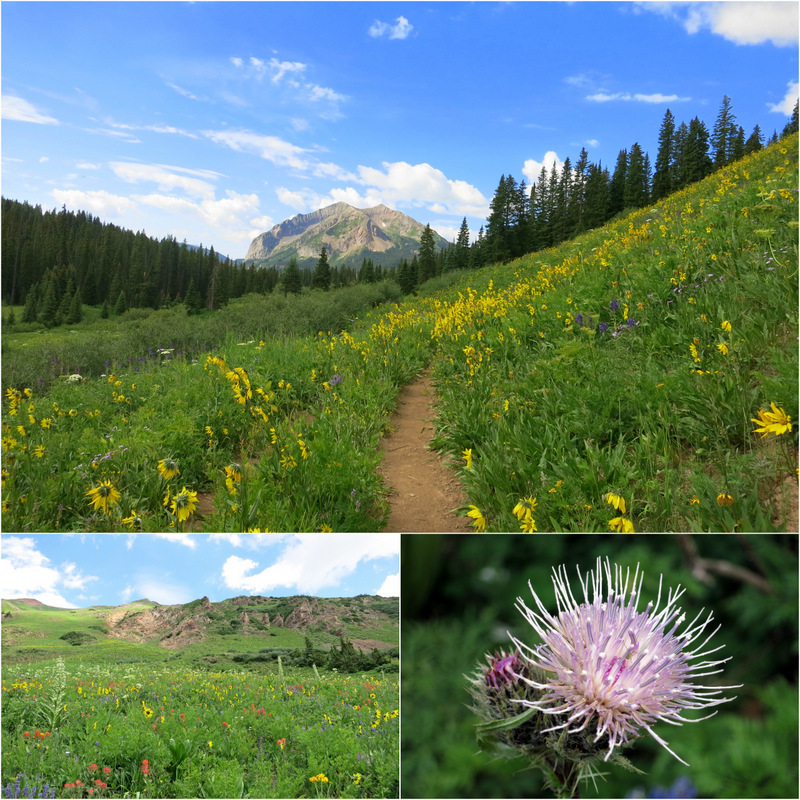 Last week we had Wildflower Mania, and now it’s time for Mountain Madness. Since those show stealing wildflowers dominated last week’s post, I though it was only fair to give the mountains equal attention. Starting with the mountains close to home. For two weeks we resided at the base of Gothic Mountain. From where we parked it doesn’t look like a terribly tall mountain, but it’s actually 12,631 feet tall. I guess it’s all about perspective. One day I hiked to the top of the dirt road that passed our site. It only went about a mile farther before ending at an old gravel quarry. From there I gazed up at the peak of Gothic wondering if we could climb to the top. My eyes found a line up through the trees that we could follow…but then it ended in a solid mass of pure rock. Maybe not. We later learned that Gothic is not a very popular summer hiking mountain (there are no established trails), but in the winter plenty of adventure seekers climb up and then ski down. The many faces of Gothic Mtn. Away from home, we enjoyed a view of Mt. 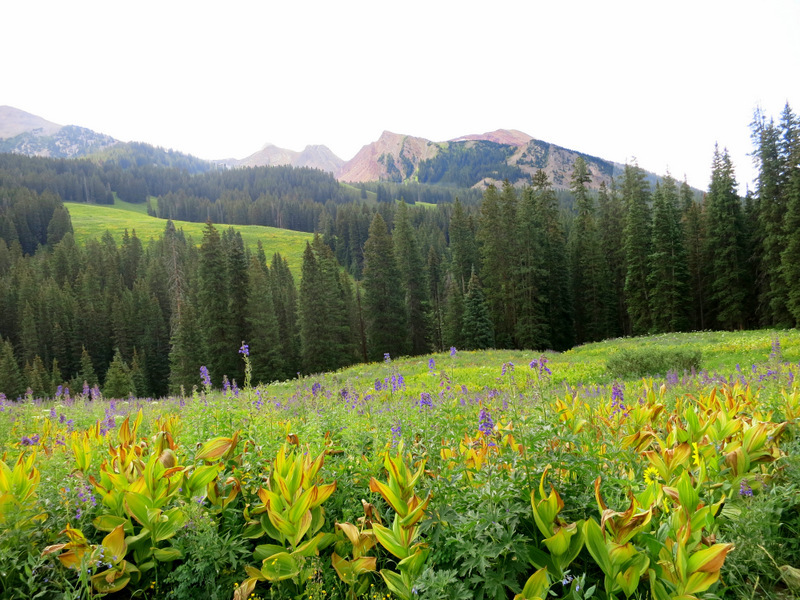 Crested Butte from the Snodgrass Trail. 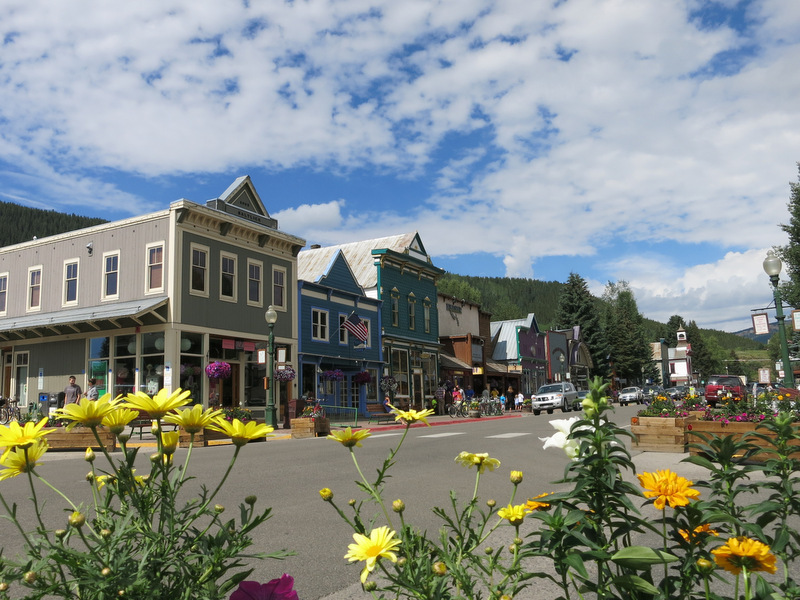 Complete with sunflowers, ski trails, and the small resort village. We also got up close and personal with Mt. 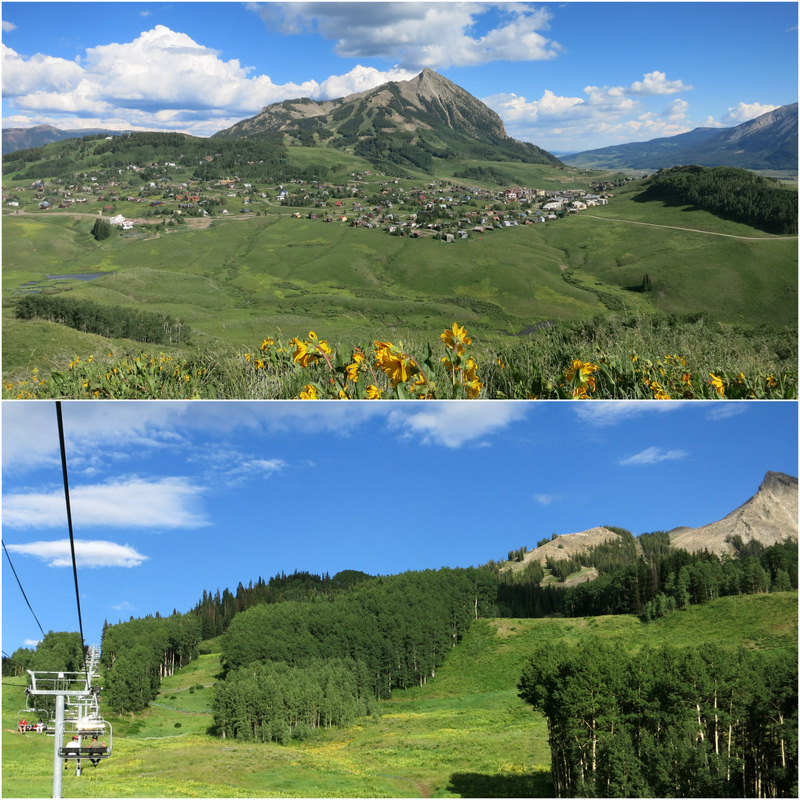 Crested Butte by riding the Red Lady Express up the mountain. Normally we wouldn’t fork over $20/person (gasp!) to take a less than 10 min ride on a chair lift, but since they offer free rides on Friday evening we figured why not. There is a large network of trails that begin at the top of the Red Lady and snake down the mountain. Some trails are for hikers, but the majority are bike only. Judging by the amount of people we saw riding up the lift with their bikes (they have special bike hooks that hang off the back of the chair), biking down the mountain is a very popular activity. Looking at the mountains from a distance is nice, but we really wanted to get up and in the mountains. For that there’s nothing better than a hike. 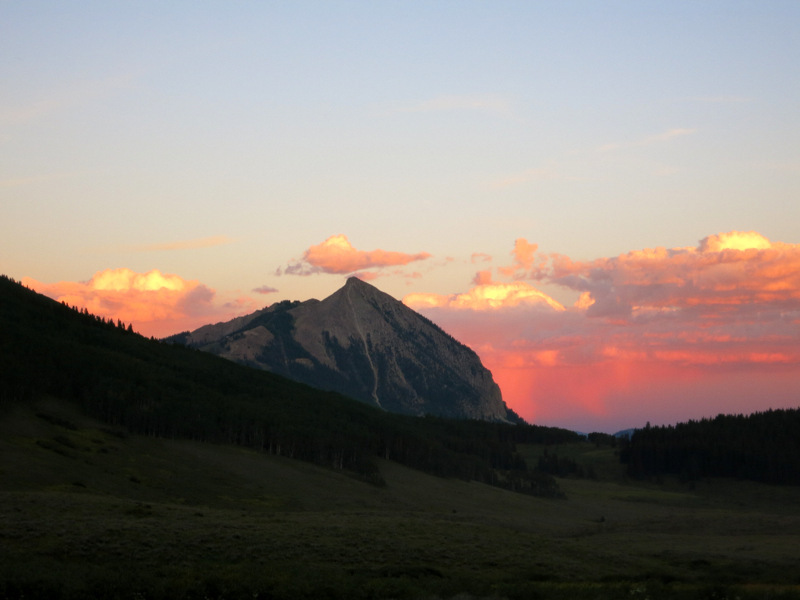 Fortunately, Crested Butte does not disappoint when it comes to mountain hikes. 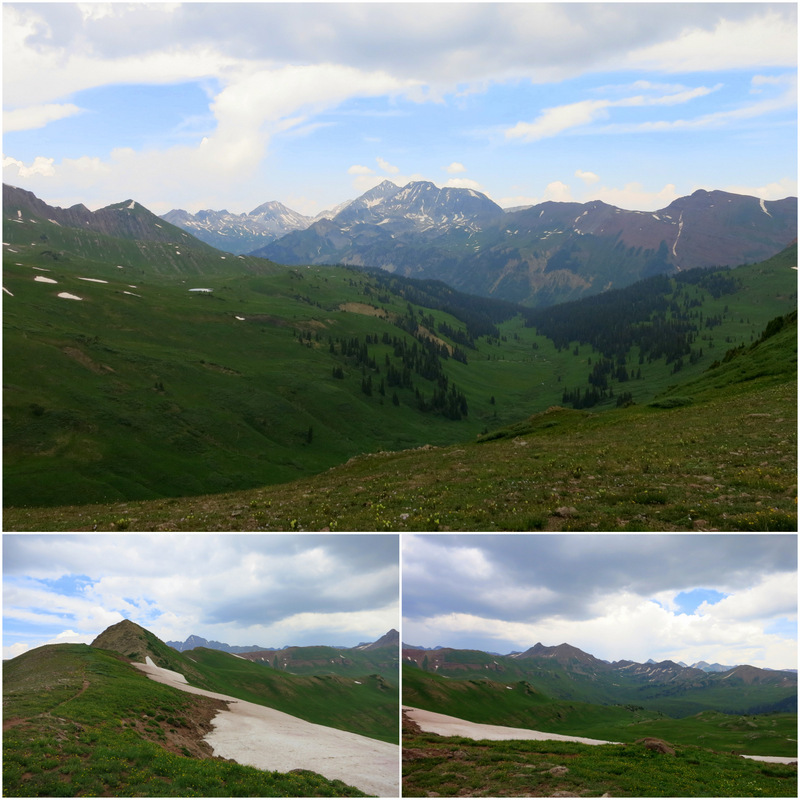 Our first hike was the West Maroon to Haley Pass Loop. I shared some photos of the massive fields of wildflowers we passed through on this hike in the last post, but I didn’t share any pics of the mountains. Now that’s a mountain view! 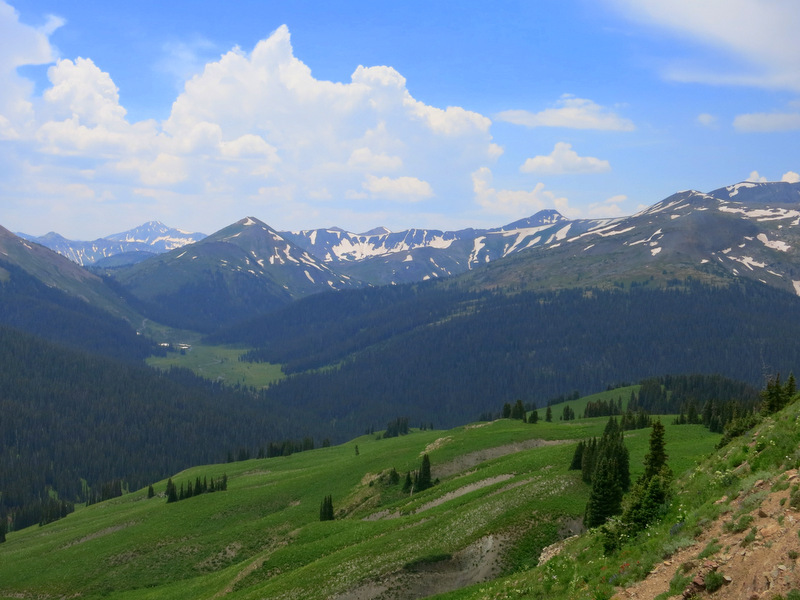 Hasley Pass tops out above 12,000 feet and offers up stunning views in every direction. Unfortunately, by the time we got up there some dark clouds had decided to join the party, making our view not quiet as incredible as it could have been. 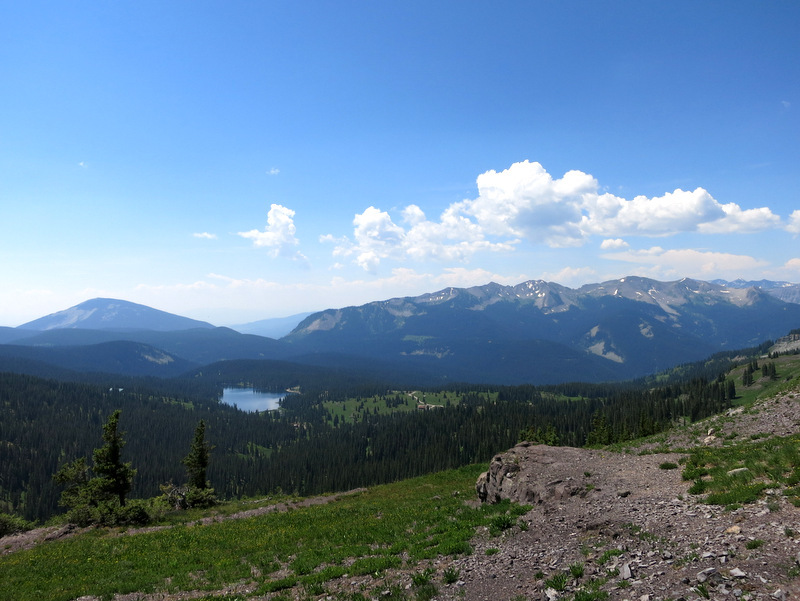 On another note, this was our first hike up past 12,000′ feet. We’ve gotten to the point where hiking above 10,000 feet is not nearly as hard as it used to be, but above 11,000′ things start to get a lot more difficult, and above 11,500 is when I begin stopping every 10 minuets catch my breathe. Needless to say, I don’t think we’ll be tackling a “14er” this year. Our next hike was the Scarp Ridge Trail. The trail begins near Lake Irwin and climbs up a rough, steep 4×4 road to a plateau overlooking the lake below. 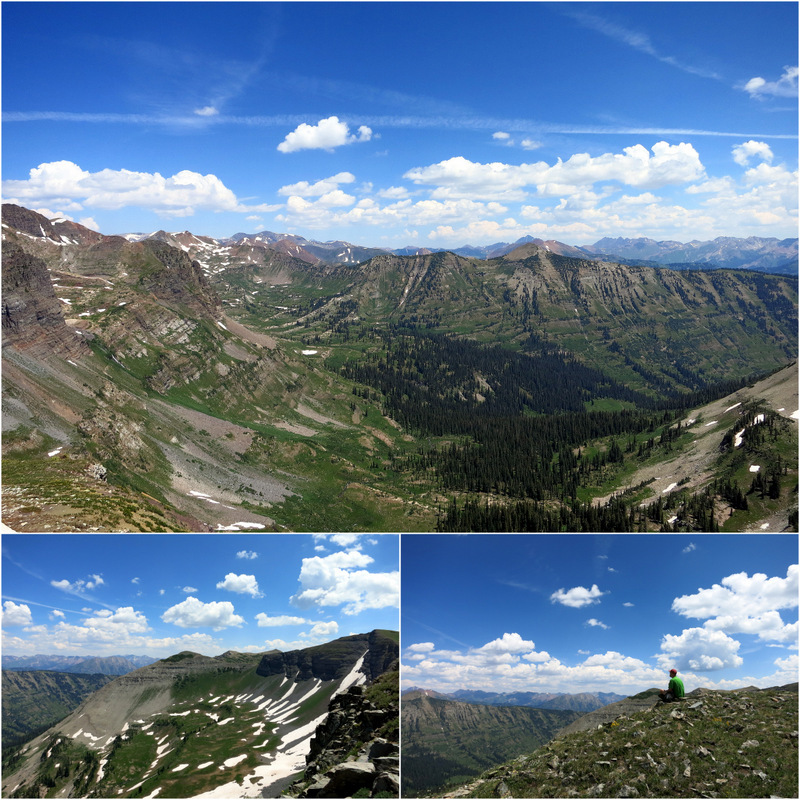 From there we trudged across a wildflower and snow filled basin, and then up to Scarp Ridge. The view at the top was overwhelming. Sometimes it’s hard to believe that places like this exist – and that we get to see them. We sat near the edge and ate lunch while marveling at the beauty all around. Our final hike was the Rustler Gulch Trail. 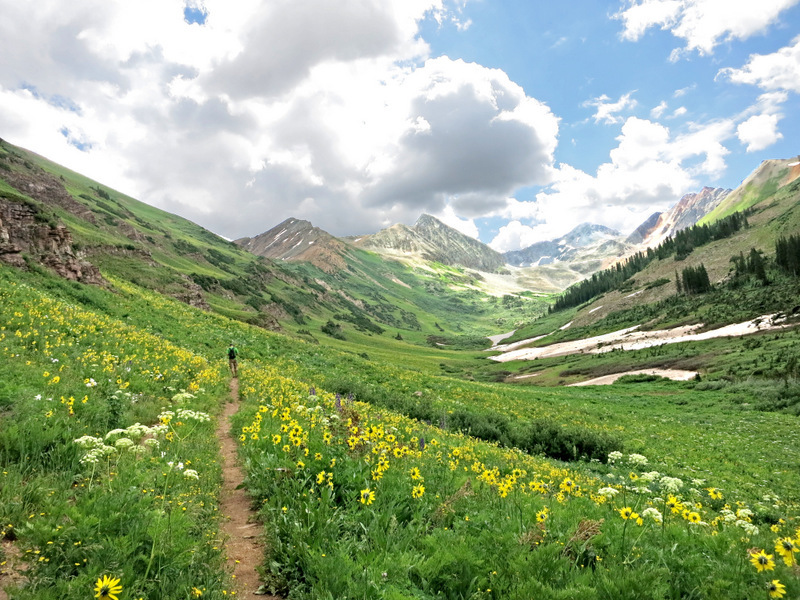 This hike follows a deep gulch between mountains through wildflower filled meadows. There’s no grand overlook at the end, but really there doesn’t need to be, because every part of this trail was grand. This was the easiest of all the hikes. 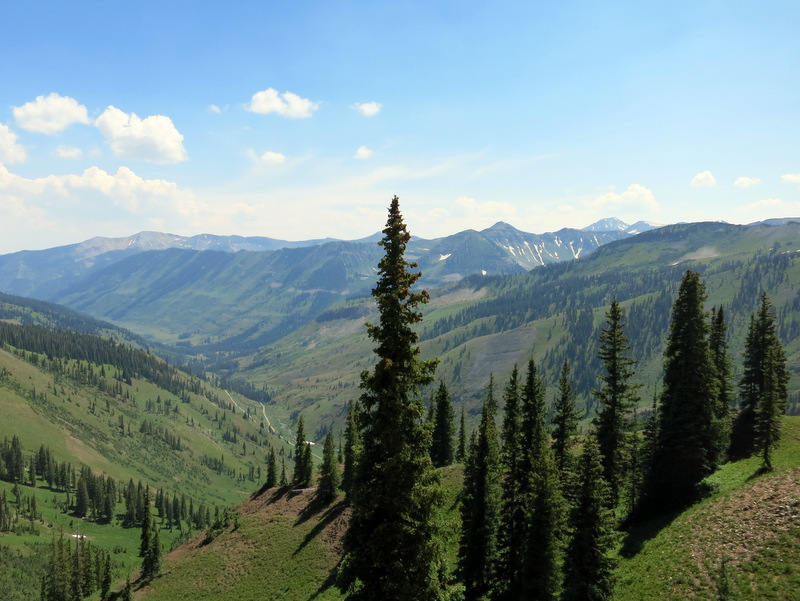 Even though it’s still a high altitude hike, starting around 10,000′ and climbing up to over 11,000, there are no steep sections, and most of the way you’re hiking up a gentle slope. This is one those hikes that gives you a lot of bang for your buck. Or rather, a lot of scenery for your effort. 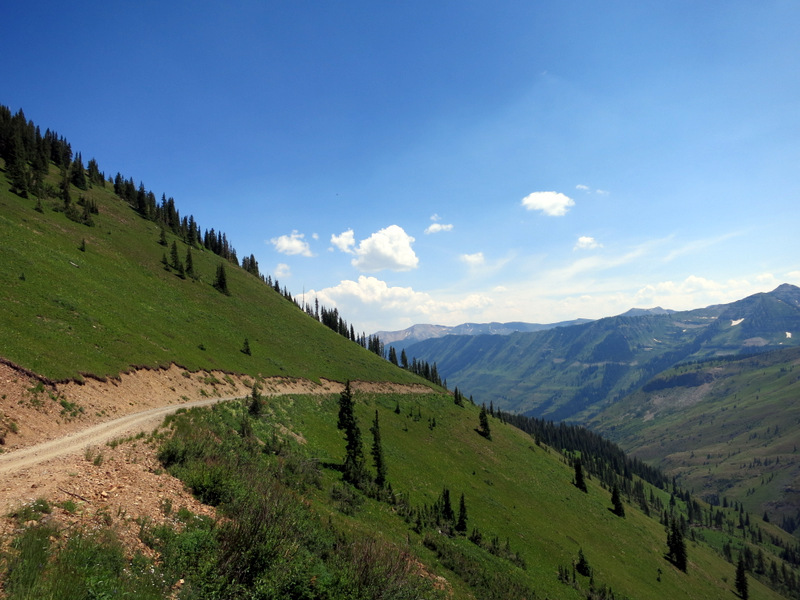 Another great way to enjoy the mountains is by driving one of the many many 4×4 roads in the area. Our truck is too big to go on some of the narrow roads that wind through the forests, but we drove the popular route that travels up Gothic Road, over Schofield Pass, and then up and over Paradise Pass. 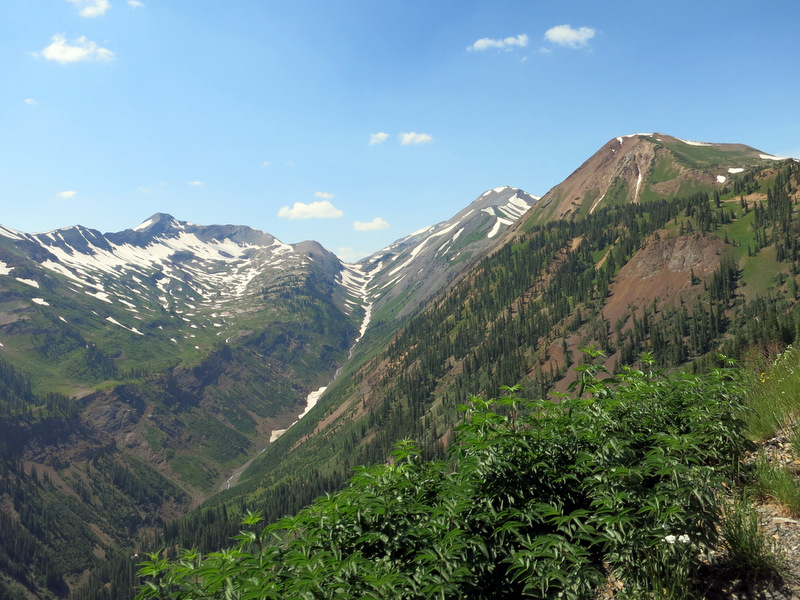 I later leaned that the Schofield Pass is considered by some to be the most dangerous road in Colorado, which surprised me a bit. Sure there are steep drop offs and some narrow sections where you could potentially get in trouble, but personally I feel safer on the road like this than a 6 lane highway with cars zipping past at 90 miles an hour. At least on a road like this everyone is going slow and exercising caution (we hope). I didn’t take any pictures of the most dangerous section of the road (near an area called the Devil’s Punchbowl). Mostly because I didn’t realize it was considered the most dangerous. It certainly didn’t seem any scarier than some of the other roads we’ve driven in Colorado and other states. I looked into it a little more and learned that there have been some pretty bad accidents on the this road, which is probably why the forest service has issued warnings about extreme danger. Okay, I get that. Although, judging by the amount of trucks, SUVs, jeeps and even a few passenger cars (not a good idea) that we saw on this route, I would say not many people are heeding the warning. After crossing the pass we rolled down into a wide valley, crossed a few rivers – one of the many reasons why passenger cars are not a good idea on this road- and then climbed back up to Paradise Pass. At the top of the pass we had a magnificent view of the valley below. From here we followed the road back down to Washington Gulch. Last year we tried to drive this route in the opposite direction and made it to about the point you see in the photo below before encountering too much snow to go on. I’m really glad we timed it right this year and were able to enjoy the entire drive. 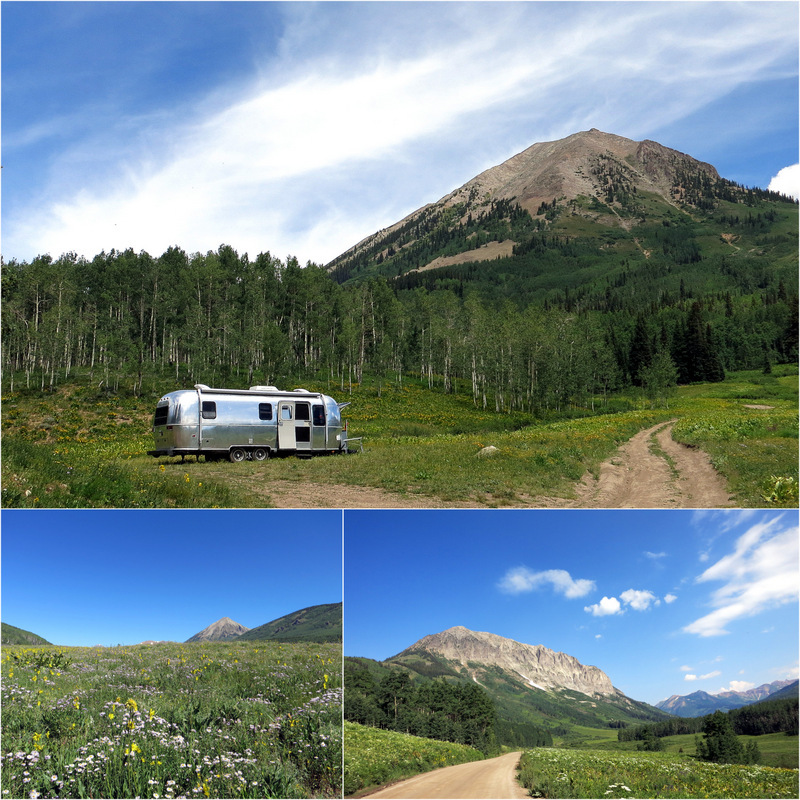 After two weeks of mountains and wildflowers our time in Crested Butte came to an end. Yesterday we hit our two week limit in the national forest, and the limit of our black tank (just to remind you that it’s not all pretty flowers around here), so reluctantly we packed up and headed down the road. I am not sure when we’ll be back, but I doubt we can stay away for too long. 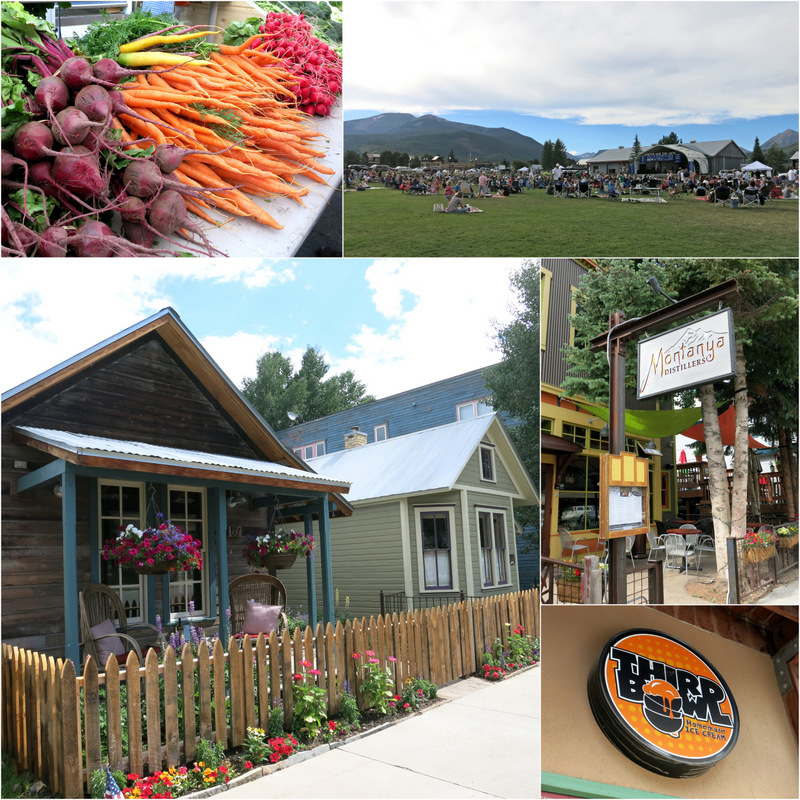 Since I never got around to sharing all the fun things we did in town, I am leaving you with some photos from downtown Crested Butte. Yay! So excited for you. Hope we can meet up somewhere when you’re back on the road. Thanks for the 4WD resource. These books look really helpful. 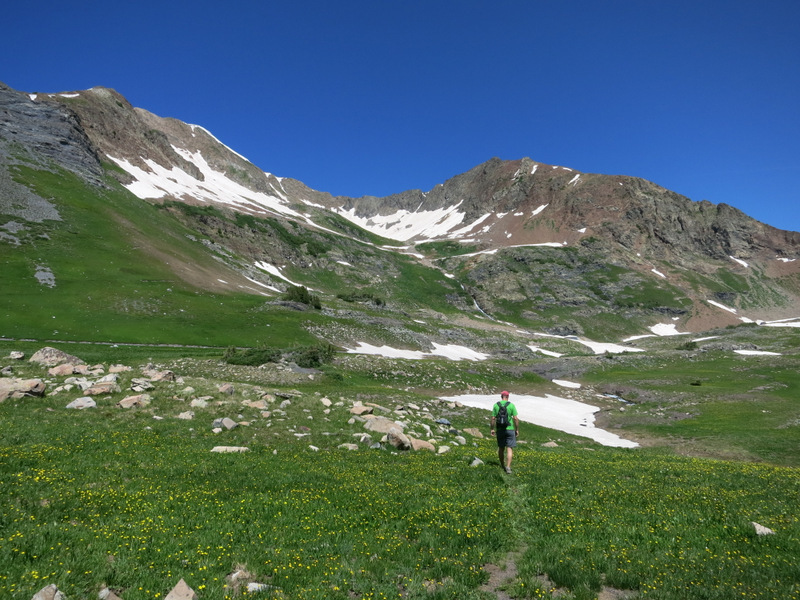 Last summer in CO, even though we were hiking high altitude trails for two months straight, I never got completely acclimitized to the elevation. The hikes got a bit easier, but never as “easy” as I’d hoped! I liked to use having to take pictures as a good excuse to stop and catch my breath! 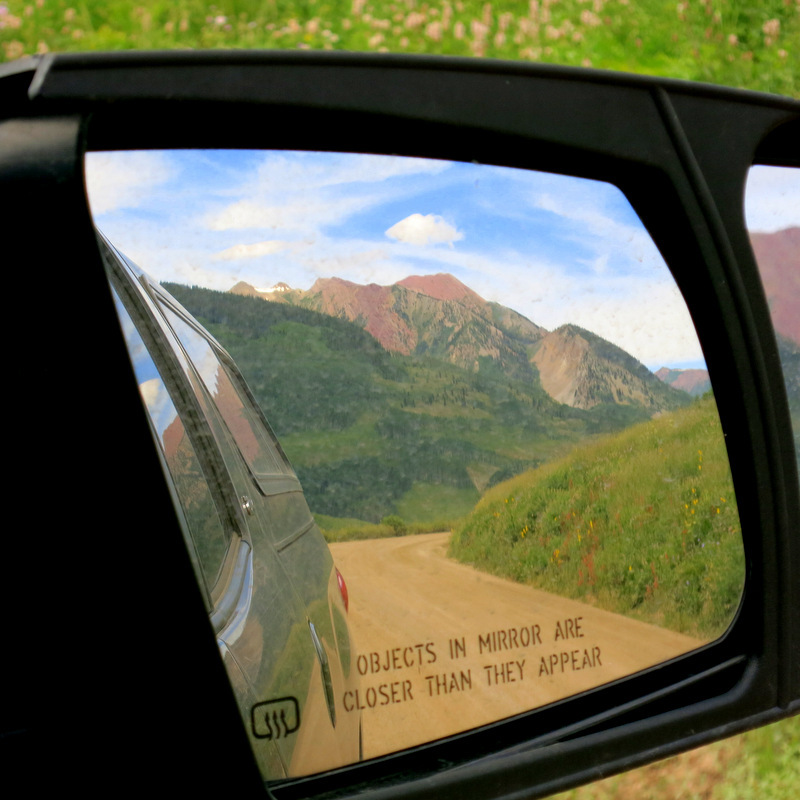 We drove that same loop…insanely beautiful! Thanks for refreshing my memories! I am beginning to think it will never be “easy” to hike at a high elevation. 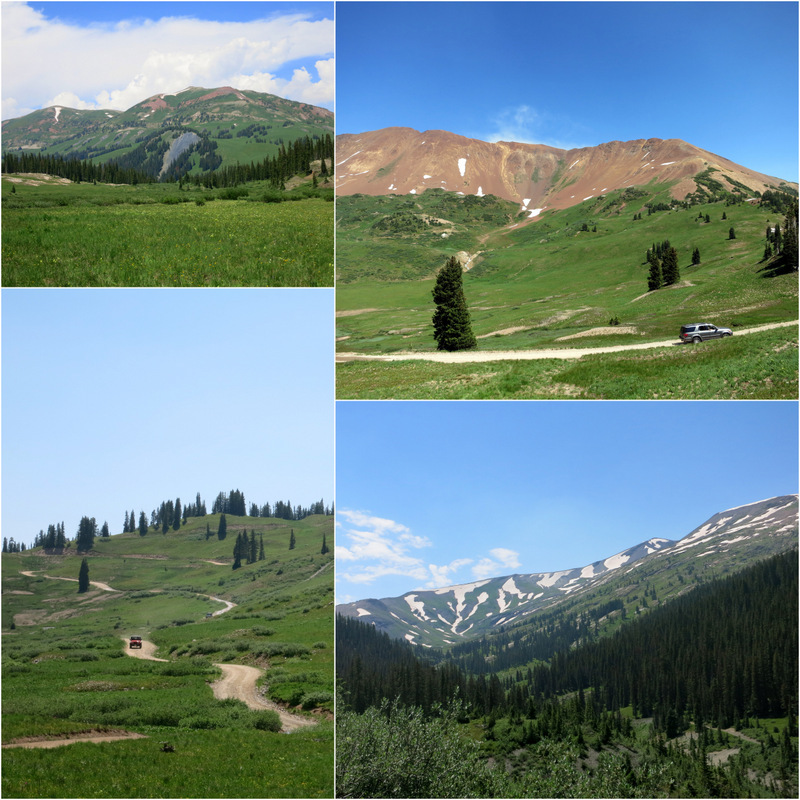 Photos are always my excuse too :) I remember your blog post about Crested Butte from last year. So glad we got to make the drive this year. We do too! Very excited to be spending a few more months here. Hi Tim and Amanda. 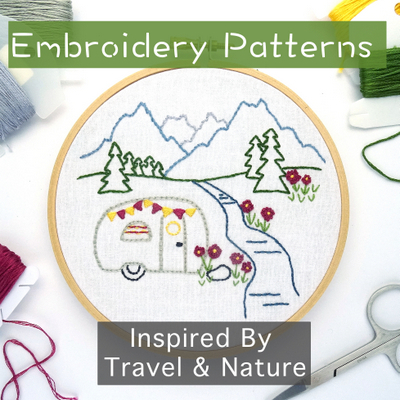 I follow your blog regularly and find it a great read with great photos and information. Thanks. 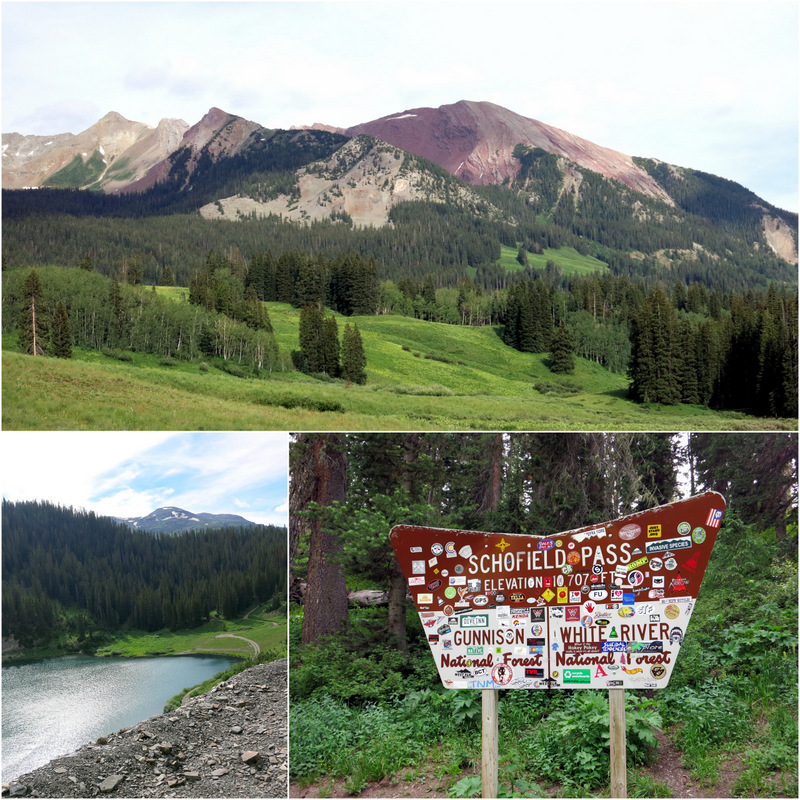 I was in Onemile Campground for a few days last week, not too far from where you are in Crested Butte. Thought about exploring up your way to see if I could find you to say hello but then thought otherwise … it sort of seemed like stalking. Anyway, keep up the great posts and enjoy your adventures. You should have stopped by! We love visitors and are almost always around during the middle of the day. Thanks for following along and hope your enjoying your time in the mountains.